Are you in fear of some of the thoughts you’ve had or are having? Have you panicked at a thought or mental image that sprung out of nowhere? Are you now questioning yourself? Are you asking yourself “why am I having such terrible thoughts? “constantly analysing a topic or situation”. If you can relate to this, then keep reading. You might be experiencing obsessive compulsive disorder aka OCD. There might be an answer. “Dear Mark, Why do I obsess over different thoughts, is it OCD? Thoughts about my health. It seems that when I move beyond one thought or fear, another one comes along. I notice something on my body and then before I know it I see my family crying at my funeral. Please help me understand this rubbish thinking, it causes me terrible anxiety”. We all are capable of thinking wrong stuff. The problem is when we get caught on a thought or series of thoughts, we start ruminating on these thoughts. 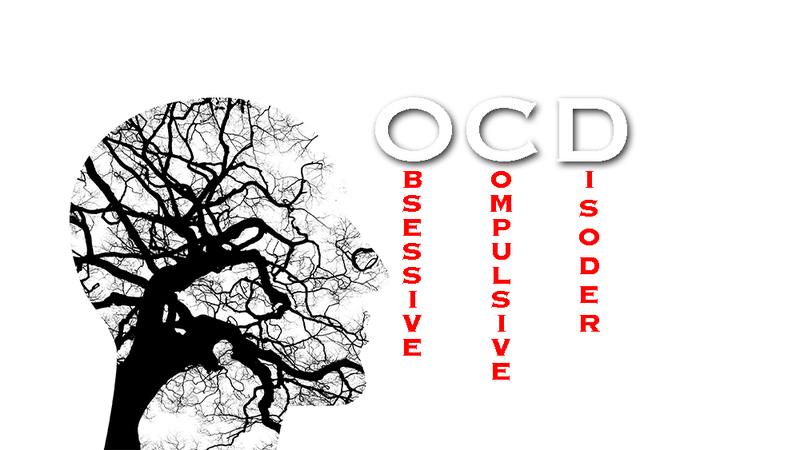 It can be an Obsessive Compulsive mind that prolongs the internal anxiety, this thing called OCD. You may not drop the thought like others do, but instead, it causes anxiety and a horrible low feeling inside. “Why can’t I stop thinking these things you may ask yourself?” The answer is simple. If thoughts you are experiencing are causing anxiety, the answer is because you fear the thoughts coming true. You may even have developed rituals to reassure you that the thought is kept at bay by checking and constant reassuring. Anxiety is a manifestation of fear on a physical level. When we fear something our senses are heightened and we become very alert to the perceived threat. This can cause us to over analyse what we are thinking and feeling. This can result in anxiety, for when we think into some thoughts we don’t like what we see, and therefore react negatively to the thought which then effects our mood. So to deal with negative feelings and anxiety we must deal with the source. The source being the fear. Why do I fear this thinking? The answer is because you don’t like the thought to the point you are afraid to even think it. It is so bad that you can’t stop thinking about it. You feel there is an answer that you need to find in order to stop obsessing so you keep on obsessing. Surely you can make it stop, but it doesn’t. The key is remove the fear and the mind loses interest. Removing the fear removes the anxiety over time. It may be irrational, but your mind needs to calm down before it gets it. If it causes you anxiety then it is clear you don’t like the thought. So why would you feel you might act on this thought? Just by thinking it makes you feel horrible, it won’t make it come true anymore than if you didn’t think it. How do I stop ruminating? The key is to discover that your fear may be irrational. Fears can attack any area, from health, to socialising, and the lots more. I even remember a person who feared goldfish to the point of despair. You may need help with your obsessive thought, but the reason is the same. Its a fear that you are trying to stop from happening by reassuring yourself with your thoughts and actions. You may become paranoid, or even want to stay away from people. It is the fear that keeps your anxiety going. The good news is you can stop it. You may need help, it may take time, but you can move past it. Get the professional help if you need it. If I can be of help drop me a mail and I’ll see what I can do. The main thing is you will learn from this and you will move on to a better you. Check out my other articles from the list below. Do sign up for my newsletter by clicking HERE and don’t hesitate to contact me if you feel I can help. Hello Mark , I have rocd and I am finding it very hard as not only do I have the thoughts of so I love my husband but I also get the fight or flight when I see him or when I come home . This is the third time I have had this and it’s horrible . I was only enjoying a loving fear free marriage 2 months ago and now I had completely changed . Please can you help . I currently have an obsession about my boyfriend, we have been together two years, we have just had a baby and bought a house together which we move into next week. I have always suffered with anxiety my whole life, I’m now 28. I had a thought spring into my mind that I didn’t find my boyfriend attractive anymore and that means I’ve fallen out of love with him, then boom the anxiety and crazy thoughts and panic attacks started. The thoughts keep escalating to the point where I think I will have to leave him to make them stop! I don’t want this as I know how much I care for him and enjoy our lives together, we have planned so much and we want to get married soon. But this won’t stop the thoughts and obsessing and constant panic attacks. I am stuck in the loop, I keep trying mindfulness and to try and stop the thoughts, but they just keep consuming me. I feel so desperate and depressed. I keep asking for help from the doctors but I get no where! My life has turned into a misery, at the point in my life where I should be happy and enjoying bringing up my daughter. Could you provide me with any help?